Apa Sherpa has climbed Mount Everest 21 times — an incredible accolade that hides the harsh reality of one of the most grueling climbs in the world. 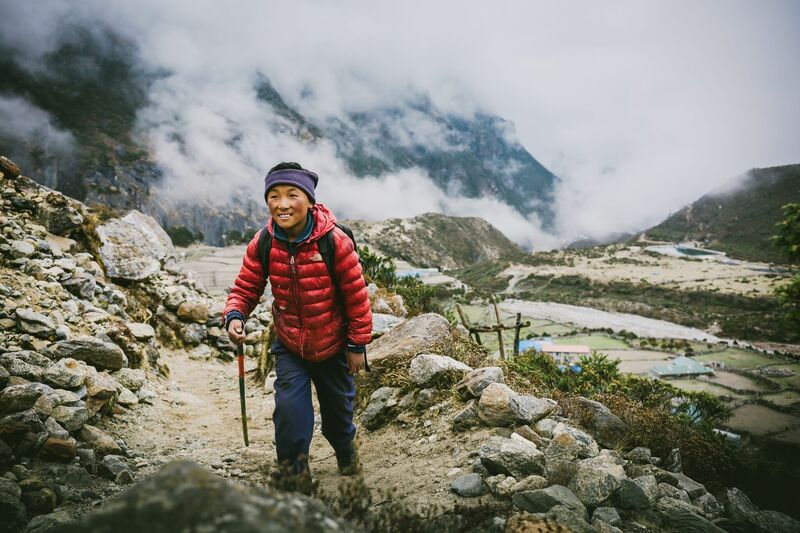 Sherpas Cinema‘s recent release, “Loved by All — The Story of Apa Sherpa”, follows young Pemba Sherpa, a child who must walk six hours a day to attend school. Pemba’s story is a present-day reflection of Apa’s past, one where the draw of being a high-altitude porter conflicts with the dreams of Nepal’s rural people, dreams made possible only through education and knowledge. 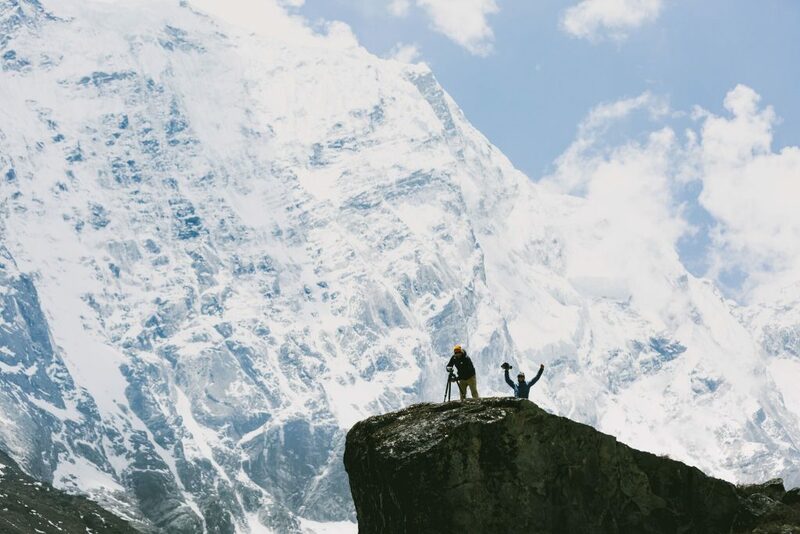 We spoke with Producer Mitchell Scott, Director Eric Crosland, and Drone Operator and 1st Assistant Camera Clay Mitchell from Sherpas Cinema about traveling and filming in Nepal, and most importantly, the film’s intended impact: raising awareness for the Apa Sherpa Foundation which supports education in Nepal’s remote mountain communities. What was the original inspiration to create this film and tell the story of Apa Sherpa? Mitchell Scott: We started working with Thule a number of years ago. The way they work is very progressive, not surprising given they are from Sweden. They sponsor Apa Sherpa as part of their “Thule Crew.” Many of their athletes are also associated with some sort of pathos, or are passionate about a cause. So, Apa fit the mold quite perfectly for them. They had never really jumped into the content game before and as we began to discuss which project we’d work on together, the story about Apa Sherpa was top of mind. On our end, we don’t often get to do projects that are associated with causes. We’re more often in the game of getting views, especially for the custom content we create for some of our partners. Often, it’s just a view-game and the goal is ultimately to sell stuff. But, this piece is really about making sure we did a great job telling a cool story. 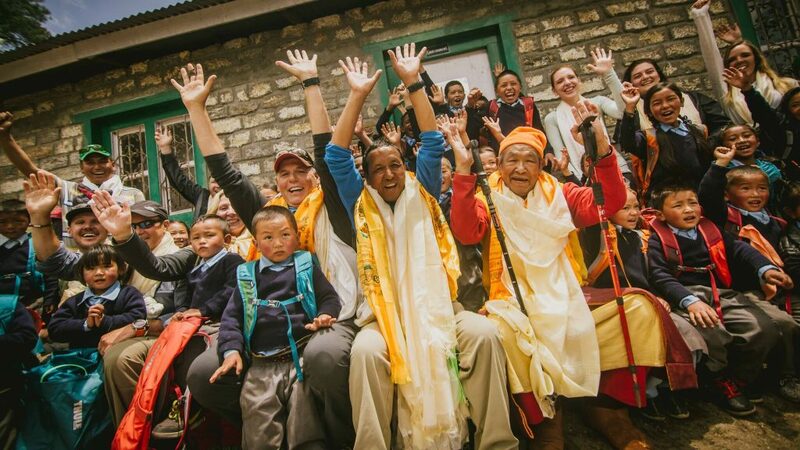 The goal is to drive traffic back to the Apa Sherpa Foundation, and ultimately help rural education in in Nepal. How did you discover the story of the boy, Pemba? Mitchell Scott: That idea came from one of our founders and my associate, another executive producer, Malcolm Sangster and the director, Eric Crossland. They were looking for a creative and cinematic way to tell Apa’s story, rather than just going around and following him. In our preliminary interviews, Apa described these kids that are living the same life he lived 30 or 40 years ago, as a small child in the Khumbu valley. We did some preliminary research and found a little guy, Pemba, who had to do pretty much the same three-hour, one-way commute that Apa did when he was a kid. He was from the same small village. Pemba’s dad was also no longer around. He wasn’t a guide or porter, but passed away from the effects of the lifestyle. So we pitched that creative to Thule. We thought it was a really cool narrative thread that would engage the viewer. We followed Pemba around and filmed his daily life. We used that story as a segue to telling the story of Apa Sherpa and his perspective on the region. And, what we’ve also ended up with are some the most spectacular kid-hiking shots ever to go up on screen [laughing]. How challenging was it working and filming in remote regions of Nepal? But, the main challenge was actually just finding enough electricity to charge our gear. A lot of times it felt like we were close to burning down one of the local’s huts. We were always battling to dump footage and charge batteries, just general stuff that is easy to do in the office but is quite challenging out in the field. What was your interaction with the local people like? Clay Mitchell: Everyone was super nice to us. While traveling with Apa, we almost had to take back roads if we wanted to get anywhere because he’s such a celebrity in that valley. It was funny. Everyone wanted to talk to him and everyone knew him very well. We stayed in Thame, which is his home village. We met his mom, who passed away right after we left, which was really emotional for him. Eric Crosland: Apa is like Michael Jordan over there. It’s crazy traveling with him. He’s quite religious and the Buddhist community really embraces him. Also, his foundation is one of the few that was started by someone born and raised in Khumbu Valley. So, it was like traveling with Michael Jordan in Chicago. Clay Mitchell: But overall, everywhere we went people were so friendly and happy. They can be covered in dirt and just smiling and so stoked. They have almost nothing — just living in rock huts, under rock roofs and on rock beds — and they are happier than most people are here. When shooting the beauty of the mountains against the narrative of Apa’s and Pemba’s stories, what was your intended overall feel? Mitchell Scott: We wanted to introduce a certain amount of tension and urgency to what’s happening there. The Himalayas are spectacular and therefore draw a lot of attention on their own. But we wanted to explore just how Apa feels about the mountains and the climbing industry. Everest is not supposed to be climbed, really. It’s sacred ground and locals are almost dishonoring the Mother Goddess that Everest is every time they climb. But, unfortunately, they’re really not left with too many other options when it comes to work. That tension between the beauty, struggle and strife, and the tourism-fueled economy is not the long-term solution that Apa hopes to see in the region. He had a dream of being a doctor when he was a kid. He knows that these other kids, if they have education, could not only leave and find a career, but leave and come back to the region as a doctor or a teacher. They would return as someone with an education and could have a life that’s not so risky and doesn’t contradict the traditions and beliefs of their people. How is this film similar and/or different from other films you’ve produced in the past? Mitchell Scott: We’ve always prided ourselves at being very good at filming in the mountains. We’ve been in Nepal before, we’ve filmed all over the world and in some of its most difficult mountain environments. So, in these ways it is familiar. But, I think where this film does differ is a result of our growing interest to find these really cool stories. And knowing how to get out of the way of the story, but also present it in a super beautiful and cinematic way. This piece really afforded us the opportunity to do that. Where we’re not making something up or going out and getting a bunch of action and then finding a narrative that strings it all together. The story is already there. 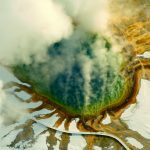 And we can bring our cinematic eye to it and make it beautiful and interesting, as opposed to your standard for a documentary which says, ‘hey, here’s the problem and you should help out.’ These days, I think people are really attracted to beauty, even if it touches on a difficult issue. That opportunity makes this film unique for us. What is Apa’s vision for the future of children in rural Nepal? And how is his foundation working on this? Mitchell Scott: Apa’s mission is to increase the quality of life for children in rural Nepal. So, their focus right now is on two factors, education and food. Kids can’t really focus and learn if they don’t have a good diet. So, most of the money that they’re raising will go to a hot lunch program at a number of schools in the Khumbu Valley. And another portion of donations goes to teachers salaries, for those same schools. In talking to Apa, the goal of the film is also about spreading awareness about providing education for kids in disadvantaged, rural places around the world. If this can be a small beacon of hope for kids across the globe, that’s his goal — to show that these kids are beautiful, tough and resilient, and to show how hungry they are for education. I can hardly get my 15 year old to ride bike 10-blocks to school, but these kids will hike three hours one way because they really want it.